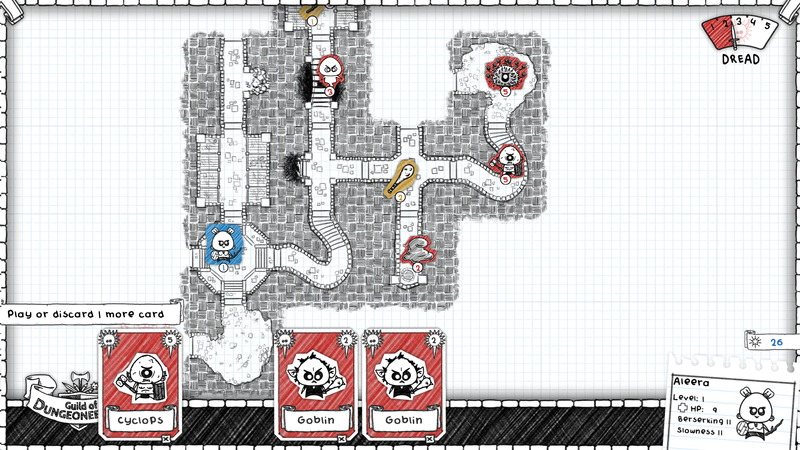 Guild of Dungeoneering: Make Your Doom, One Room At A Time | "DESTROY ALL FANBOYS!" Okay. 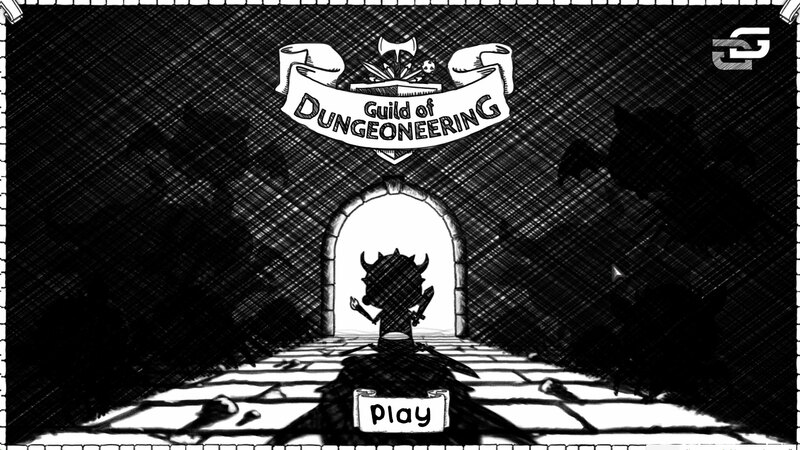 I know I’ve been busy and all stressed out over a bunch of stuff lately but just how did I miss out on Guild of Dungeoneering, indie developer Gambrinous’ upcoming digital-only RPG creation kit/card battle game/pure genius “Shut up and BUY me!” game. Well, it’s not out YET, mind you. But just look at that trailer above and tell me you’re not suffering from shock and “D’aaaw!” at those visuals and yep, that music also gets me grinning way too much. Even in the earlier trailer below the game exudes cuteness and while being simple visually, rocks its looks better than some bigger buck in cost retro games do. As a former graph paper gamer (of questionable talent) myself, I’m all over this one like a cheap meal because it’s so nicely done, has LOW system requirements (yes!) and looks like an instant genre classic. What looks like endless replay value should keep core RPG fans hooked in while those new to this old school should also have a total blast. Who needs Unreal 4 when you can have unreal FUN with something so damn charming to look at and pleasant to listen to? Anyway, the game is available for pre-order on gog.com, Steam, The Humble Store and a few other places you might be buying your digital games from already. Sure, why not. July 14, 2015 is when this one drops. So make sure you’re all aboard with the program. You wouldn’t want to get “accidentally” shanked by a pissed off penciled Goblin, Skelton or Fire Demon now, would you? No, I thought not. Get ye to the pre-order page of your choice, then. 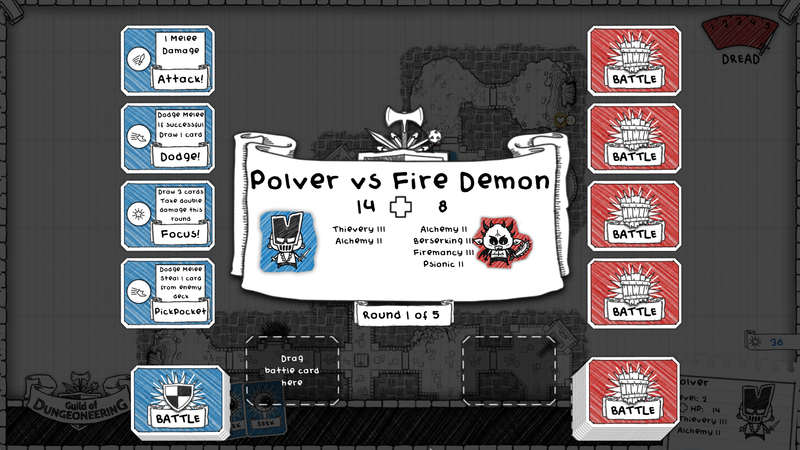 This entry was posted in 2015, Commentary, DAF, Features, Humor, Updates and tagged Apple, BUY This Game, Coming Soon, Digital Games, DLC, Downloads, Gallery, Gambrinous, gog.com, Guild of Dungeoneering, In Development, Indie Games, Indie Gaming, July, Macintosh, PC, PC Games, Previews, Screenshots, STEAM, The Humble Store, Valve, Versus Evil LLC, VGA 101, Videogame Appreciation 101, Videogame Trailers, YouTube by geelw. Bookmark the permalink.